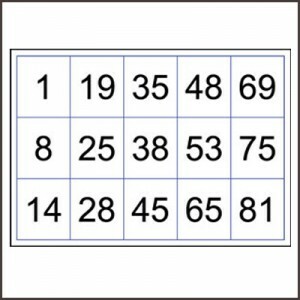 Downloadable and printable large print bingo cards set numbered 1 – 90. A4 sized cards may be printed off on paper or white card and laminated. 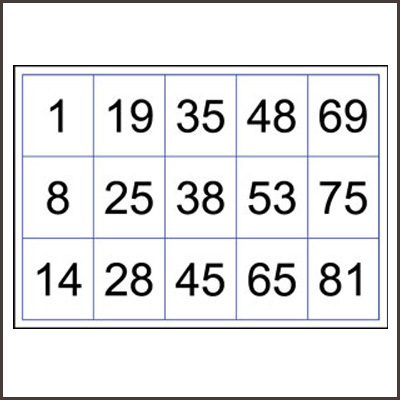 36 cards in the set, each card has 5 x 3 squares.Use your cards with your own bingo cage with 90 balls and your own counters or easy grip 3D counters.